MOSCOW, April 13. /TASS/. The Russian Football Union’s (RFU) special commission issued its authorization on Thursday for the newly-built stadium in St. Petersburg to host national football matches, a senior official with the RFU told TASS. "Today, the new stadium in St. Petersburg was licensed by the RFU to host matches," Yevgeny Letin, the head of the RFU licensing department, said in an interview with TASS. "However, we did have complaints about the stadium, but they did not concern the field," he said. "For instance, they (stadium’s management) failed to provide a document, which is called ‘Security Passport’ and did not come up with documented instructions on the security provision." "We will be further exerting tight control on the correction of all of our concerns before the first official match at the new facility is held," Letin added. The first official match at the new stadium in Russia’s second largest city is scheduled to be held on April 22 as part of the Russian Football Premier League (RFPL) tournament’s 24th round between home team Zenit St. Petersburg and Yekaterinburg Ural FC. The over 68,000-seat capacity stadium designed to host the 2017 FIFA Confederations Cup and the 2018 FIFA World Cup matches was laid down in the western portion of Krestovsky Island in St. Petersburg in 2007. The construction project was amended three times: in 2008, 2010 and 2013. Each time, the cost of the arena was increased from the initial estimate of 6.7 billion rubles ($268 million at the average ruble/US dollar exchange rate for 2007) to possible 43.8 billion rubles (some $728.3 million at the current exchange rate). 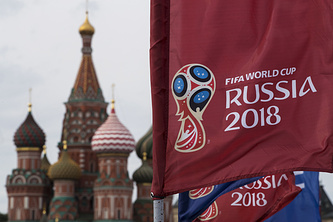 The FIFA Confederations Cup, which is also viewed by experts as a rehearsal a year prior to the FIFA World Cup, will be held between June 17 and July 2 at four stadiums in Russia and they are Moscow’s Otkritie-Arena, the St. Petersburg Arena, Sochi’s Fisht Arena and the Kazan-Arena.